It was a bright, sunny morning as I left my home to begin the first leg of my holiday. 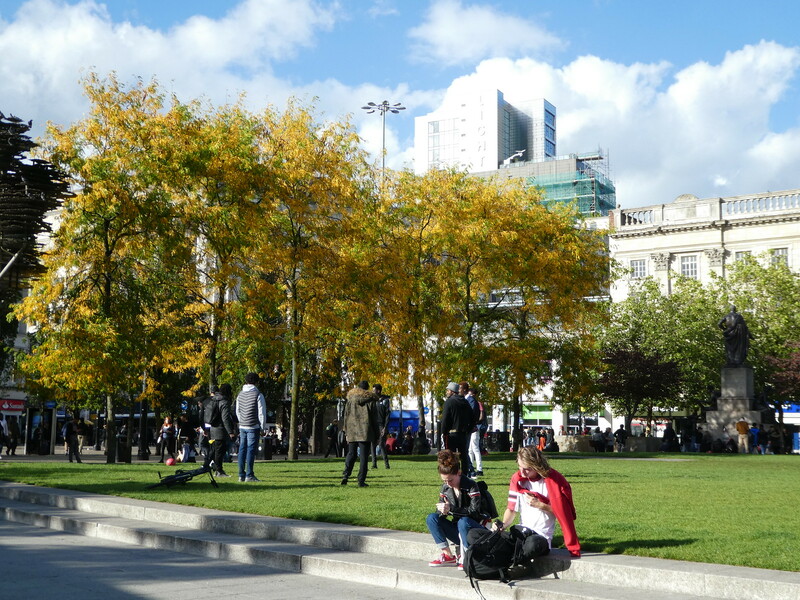 I met up with my son and we enjoyed a leisurely meal together in the centre of Manchester before continuing on to the airport by train from Piccadilly station. 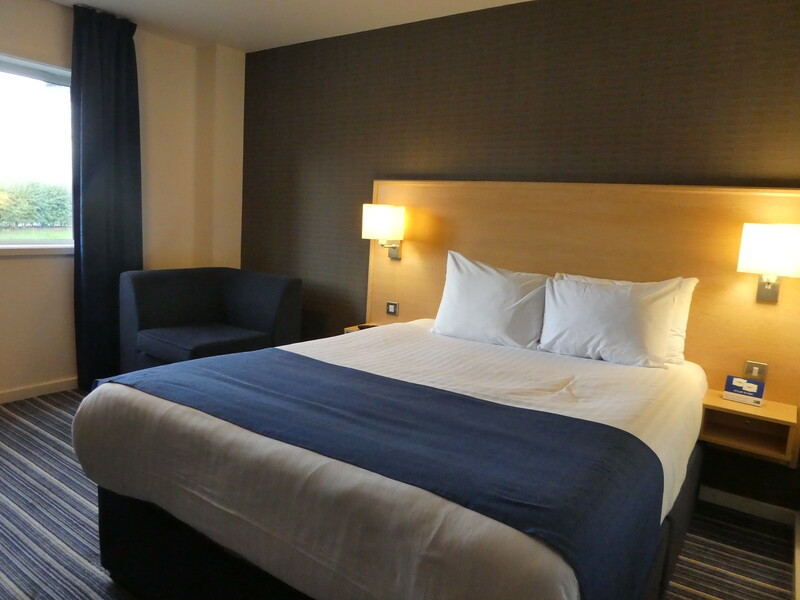 We had arranged to stay at the Holiday Inn Express Manchester Airport, a tried and tested hotel that we use frequently. The hotel is located a few minutes drive from the airport with a shuttle bus being available from outside the railway station at £3 per person. We were just about to use the courtesy phone to arrange transport when two more people appeared who were also staying at the same hotel so we all decided to take a taxi together as it was slightly cheaper. Our fellow passengers had been visiting Edinburgh and the Lake District and were heading home to San Francisco the next morning. We checked into our room which was comfortably furnished and then had some sandwiches we had bought earlier. It was a warm evening so we set off for a walk but it was very short as there wasn’t really anywhere to go. The hotel is located on the perimeter of the airport fence and next to the motorway leaving little opportunity to stretch our legs. Returning to the hotel, we met the couple we’d shared the taxi with so we chatted with them awhile and then settled down in the bar for a couple of hours as my son was keen to watch Liverpool play a Champion’s League football match on the big screen. We then enjoyed a good night’s sleep followed by a leisurely hotel breakfast before excitedly taking the hotel shuttle bus over to Terminal 2. Checking in for our Cathay Pacific flight was quick and efficient and surprisingly there were no queues at security which was a bonus. Manchester Airport’s Terminal 2 is undergoing a £1 billion re-build which is due to be completed in 2020. It’s currently a dreary terminal with few airside amenities so I am looking forward to the renovations. We have usually had coffee in the huge Spinning Jenny cafe but, for a change, we opted for the smaller Frankie & Benny’s which was more pleasant as it opened up onto the main concourse. Manchester was experiencing very strong winds and the majority of flights heading in a westerly direction were subject to delays and cancellations. Fortunately, as we were travelling east to Hong Kong, our flight on board an Airbus A350-900 was unaffected and we boarded our 11 hour 40 minute flight on time. Our seats in Row 46 were located in a good position in the smaller, front cabin of economy and had ample legroom and comfortable cradle seats. There were no views of Manchester after becoming airborne due to thick cloud but as we see this view often, it didn’t really matter. In the aisle seat next to us was a very nice lady who was travelling to Perth to visit her daughter so we chatted to her before lunch was served. About 90 minutes after take off, pre lunch drinks were served and I enjoyed a gin and tonic with a small packet of almonds. From the lunch menu I selected pan fried sea bass with pea mash and braised lentils which was delicious. The main course was accompanied by a salami and coleslaw starter, roll and butter, glass of wine and a chocolate. A little later, Movenpick chocolate ice creams were handed out but as these were rock hard we had to leave them on our tray tables awhile to soften. To round off our lunch we had cups of coffee then settled down to watch some films. There weren’t really any particular films I wanted to see so I selected ‘Book Club’ which I thought was mediocre and then ‘Adrift’ which was slightly better. The cabin lights had been dimmed and we managed to get quite a few hours sleep. On waking, there were still several hours until the flight was due to land in Hong Kong so we decided to have a complimentary in-flight snack. I popped along to the galley at the rear of the cabin and picked up some biscuits, crisps and chocolate to take back to nibble on. A couple of hours later we requested cup noodles which tasted quite good and came supplied with chopsticks. I then read a few chapters of my book until breakfast was served which comprised creamy scrambled eggs, pork sausage, mushrooms and small roasted potatoes. We also tucked into fresh fruit salad, Greek yogurt with honey, a roll with jam and butter, orange juice and coffee. 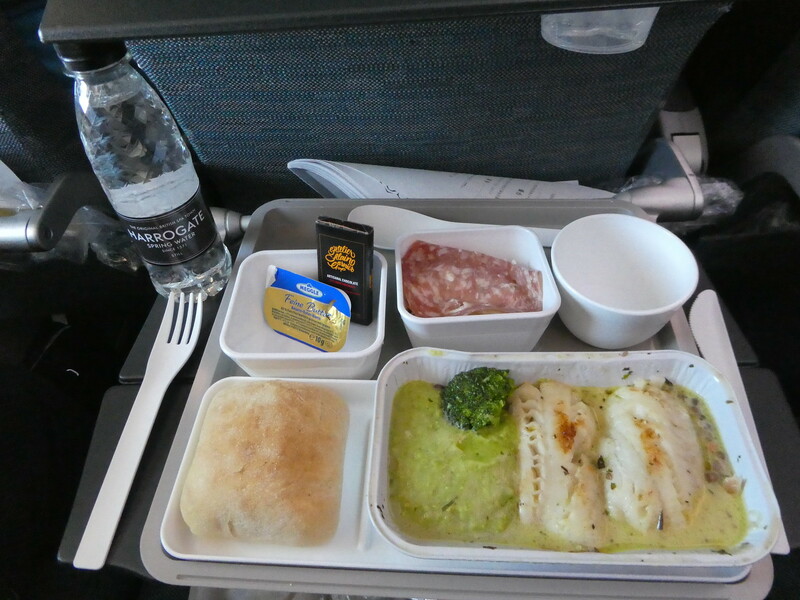 I have always found the food on Cathay Pacific to be of a high standard with generous sized portions. The cabin crew were all very polite and efficient contributing to a very relaxing and pleasant flight. 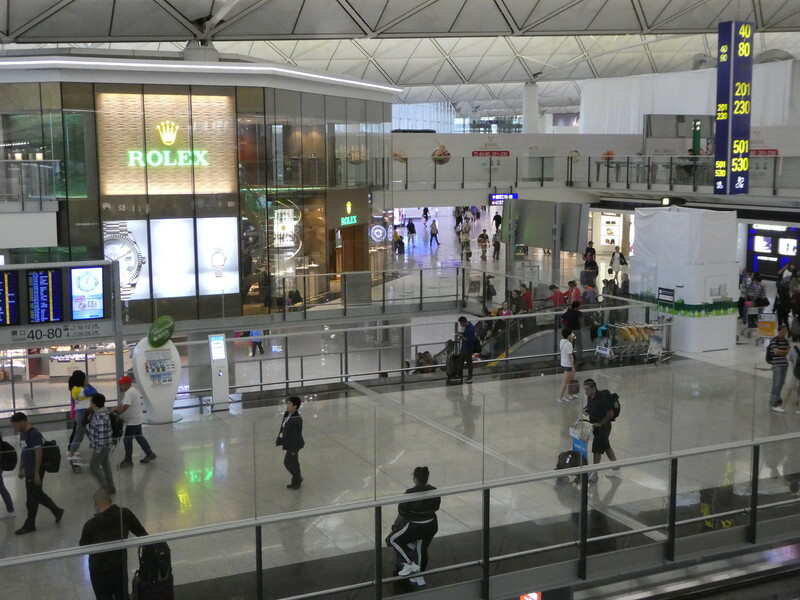 It was 6.25 a.m. local time when we touched down in Hong Kong International airport 25 minutes ahead of schedule. Coming up next – our arrival into Manila! Good luck on your next travel. Thank you for your kind words and for taking an interest in my posts on the Philippines. Great travel report. I saw that You flew onboard of Airbus A350-900. Congratulations. My ex-company Finnair has them twelve and in the future two more. I have not never been flying them. Sigh. Thank you Matti for your welcome thoughts on my review of Cathay Pacific. I liked the A350-900 and it’s good to read that Finnair also,operate them. I love travelling on Asian airlines as they serve the foods I like best and you made my mouth water with those pictures. I’ve travelled the Philippines so many times over my ten years spent in Singapore as a base and even lived there teaching for a while before returning to Australia. The country is interesting and the people lovely. Great start to your holiday Marion. Look forward to reading about your time in the Philippines. I have been to Manila twice and enjoyed it. I love Cathay Pacific; used to fly them all the time back to Australia via HK when I lived in Beijing. Thank you Sue for your ever welcome thoughts on this post. I expect you are back from Bali now and hope the temperatures have cooled a little. Thank you Jo, hope you enjoy this series of posts. Thank you for your kind words about my flight with Cathay Pacific. I’ve flown Malaysian Airlines as well in the past and enjoyed their service too. I know what you mean about some US carriers! i really enjoyed the interestingly detailed description of the journey. i hope to follow your next journey. Thank you Mohammed for your kind words. It’s so nice to read that you enjoyed the start of my Philippine adventure! That’s amazing, I’m sure you will have a wonderful time and I’ll look forward to reading your posts too! Thank you! Manila posts coming up next! 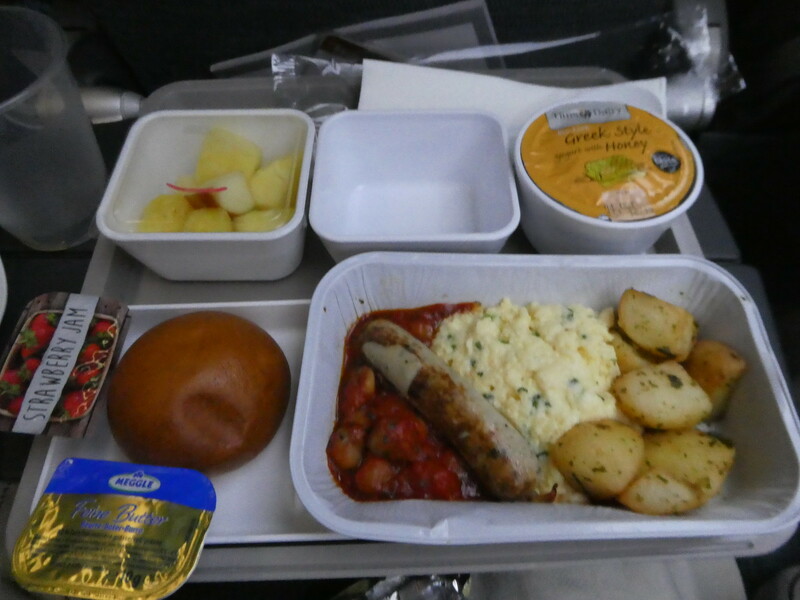 Glad you had a pleasant flight – I have only heard good things about Cathay Pacific. We are going to Japan eventually and hope I can get us on a flight with them there as it will provide a smooth travelling experience for Husband. I must admit I have not watched Adrift the film, but have read the book which its based on. What a story. Thank you for your nice message. I’ve not visited Japan yet but would like yo do so. 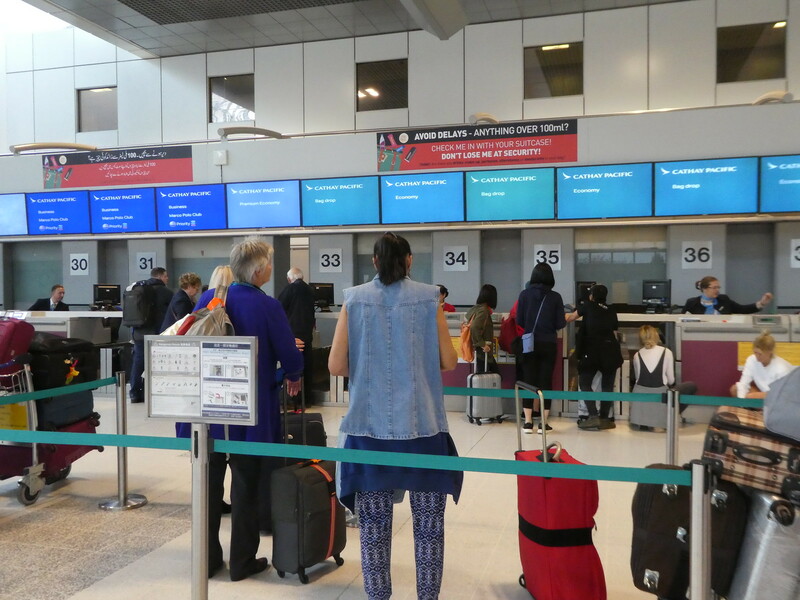 Cathay Pacific provided a pleasant start and end to our trips and it was the third time I travelled with them. When I went from Manchester to Manila in 2016, I flew Emirates via Dubai – that was a good experience, including the food and the legroom on the A380. Some people I know don’t like Manchester Airport but I’ve never had any problems there. Nice to hear from you Richard, I have also flown Emirates a couple of times to Hong Kong via Dubai on the A380’s and enjoyed their service and spacious cabins too. 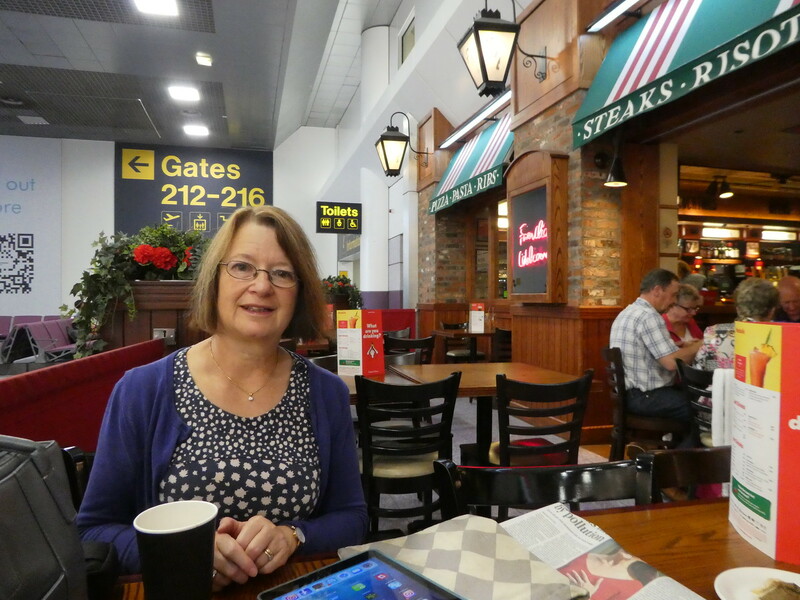 Manchester Airport is convenient for me and I’ve never encountered any problems using it and am looking forward to the new terminal opening. Wonderful details about your pre-flight and flight. I have flown on a long international flight, but you are a veteran traveler. I will be looking forward to more updates. Thank you so much for your kind words, it’s lovely to read that you are looking forward to more updates on this series of posts. Hi. I am from the Philippined. Where in the Philippines u visiting? Oh! Thats good. Hope to meet u when u get back here. 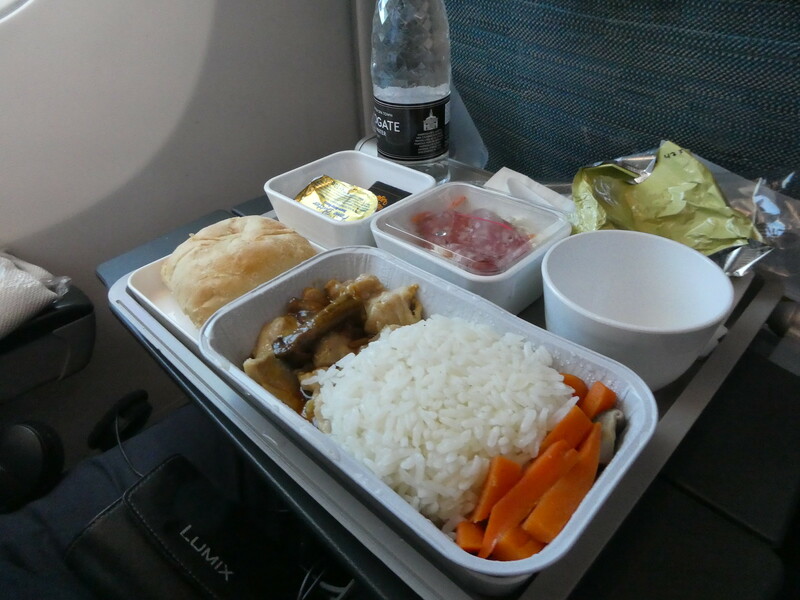 Never flown Cathay but the food looks pretty good and the whole experience sounds better than most long-haul flights. OMG! I’m in the Philippines! It would be fun to meet you! Looking forward to your posts from Manila!!! Thank you, it was somewhere I had wanted to visit for a long time! Great that you had a good flight, Marion. I found them very rude at Hong Kong Airport and on the leg from there to London. I was recommended to them, so I was pretty disappointed. I guess it’s the luck of the draw. Such a shame Coral, it shouldn’t be like that and I would have been disappointed if it had happened to me. Happy you had a positive Cathay Pacific experience. I flew Cathay on my first Hong Kong trip, circa 1999, and that was positive, so I hope they’ve maintain that international airline quality, which few domestic U.S. carriers match. Thanks for your welcome thoughts Brad. I’ve flown CP three times now, and always found them to offer good service.